Prepare your sword and shield for the attack. Gird yourself with strong armour. Let out a piercing shout as you charge into the enemy lines. Maintain a proud bearing and a secure foothold with the Sigfrid Leather Greaves. Enjoy the traditional style and defense this pair will add to your armour set. Two riveted segments are craft from high-quality leather. Detailed edging lines the shin guards. Two adjustable buckle straps are on the inner side of each guard. 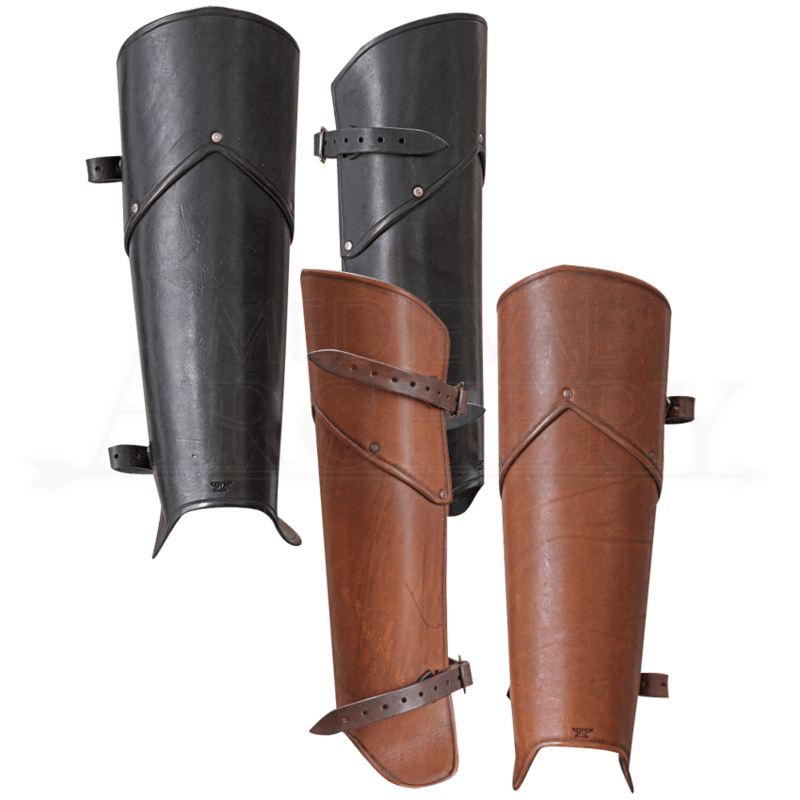 Complete your armour set by combining these greaves with the Sigfrid Leather Bracers and Sigfrid Leather Gorget.